Below you will see Awards created in June and July 2004. They are Award of Website Excellence, or A.W.E. These are sites of which I am in "awe" over the design, recent improvements, and/or content. You cannot apply for this award, it is just a personal decision. 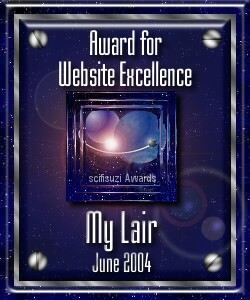 My Lair is the recipient of the June AWE award. Be sure to visit the many portals into different worlds...wonderful. 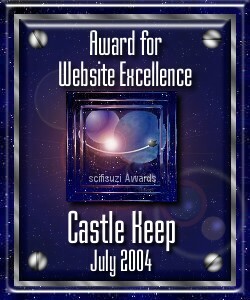 Castle Keep is the recipient of the AWE award for July. I recommend you check it out the many castles and gardens....a fun trip.